1932 Ford 3 Window Coupe Resin Body by Motorsports Miniatures. 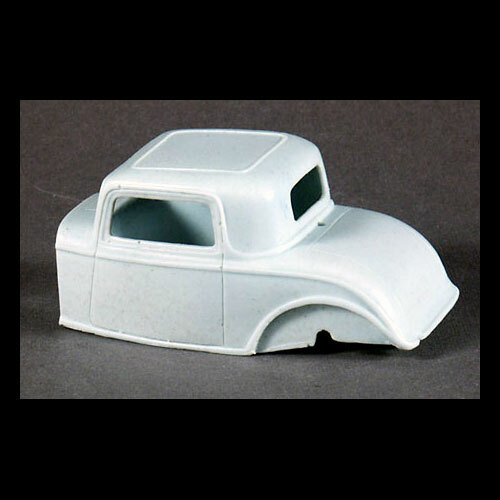 This 1/25 scale resin one piece 1932 Ford feels harder than most resins (more like plastic) and is molded in a light blue color. This resin model / body would require a Hot Rod model kit for donor parts to finish.